Craig is the firm’s Managing Partner. He has represented the firm’s clients in many areas of civil litigation during his career, and he is nationally recognized as a leading workers' compensation defense lawyer. He has handled all aspects of Illinois workers' compensation litigation including arbitrations, reviews, and appeals. He has developed deep knowledge and experience in many industries, including healthcare, trucking, government, large manufacturers, school districts, and universities. He formerly served as chair of the firm’s Workers’ Compensation Practice and as chair of the National Workers’ Compensation Committee of the Defense Research Institute (DRI). In addition to his experience in litigated cases, Craig has developed a reputation for counseling employers regarding overall management of workers' compensation risk. Through seminars and presentations to local and national industry groups, in-house meetings, regular claims review analysis, and day-to-day legal counsel, Craig assists clients in looking beyond the individual case in an effort to reduce overall workers' compensation expense. His comprehensive approach to workers' compensation issues also includes third-party liability and lien recovery issues. Craig is actively involved in supporting many local charitable organizations and civic causes. He is a former president of the Peoria County Bar Association (2014-2015), and a recipient of the PCBA’s Distinguished Community Service Award. He has served the Heart of Illinois United Way in many capacities, including as president of the board. He is past Advisory Board Chair of the Peoria Tri-County Salvation Army, and the recipient of its 2012 William Booth Award for Community Service. Craig has served as president of the Bradley University National Alumni Board and as vice president of Financial Support for that board. He has served as the Board president of Lutheran Senior Ministries and as Church Council president of the Salem Lutheran Church. He is a member of the Illinois State Bar Association, American Bar Association, Abraham Lincoln Court, and Defense Research Institute (Past Chair, National Workers' Compensation Committee). He has also chaired DRI's Program Committee, and in that role, chaired nationally acclaimed teleconferences and seminars on specific issues relating to workers' compensation defense. 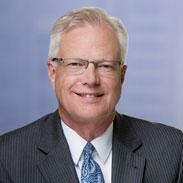 Craig started as a summer clerk with the firm in 1983, while enrolled in the University of Illinois College of Law. He obtained his J.D. degree in 1985, joined the firm as an associate that same year, and became a partner in 1992. He has been designated as a Leading Lawyer in Illinois as a result of a survey of Illinois attorneys conducted by Law Bulletin Media. Chaired Peoria's delegation to the President's Summit on Volunteerism.